Promising Indian shooter and a multiple gold medallist at junior nationals, Kynan Chenai clinched the trap gold medal in the Singapore Open Shooting Championship here. 22-year-old Chenai, a gold medal at the 2008 Commonwealth Youth Games, shot 10 in the final to pip local lad Zain Amat by three scoring points for the yellow metal. Amat shot seven in the final. Chenai shot an impressive 121 to enter the semifinals as leader, before a steady 14 out of 15 saw him advance to the gold-medal round. Known to be an expert swimmer, Chenai put his skills to use and saved a life while camping in Uttarakhand last year. 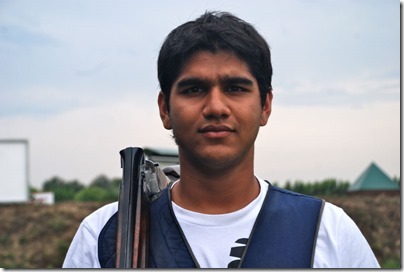 Chenai was the gold medallist at the Junior National Shotgun Championship in 2007. He retained the medal the following year, besides winning a silver at the Asian Clay Championships.